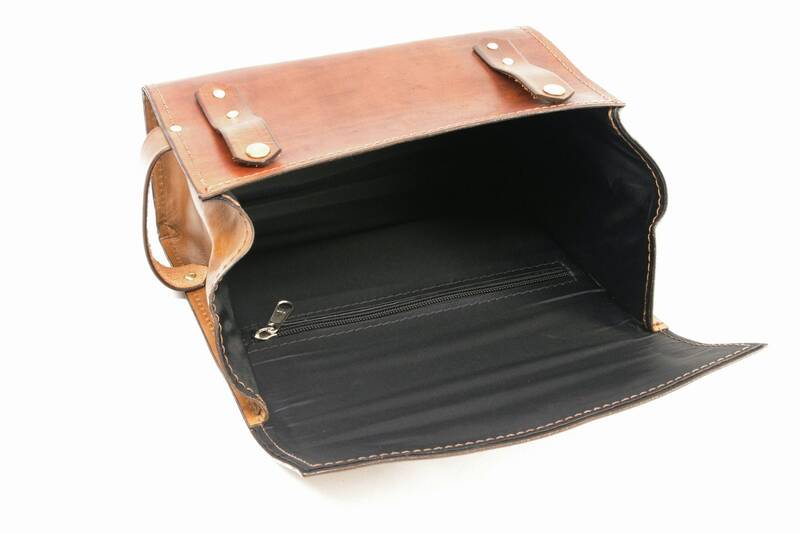 This is my original Dopp Kit design; I have only a few of these left. 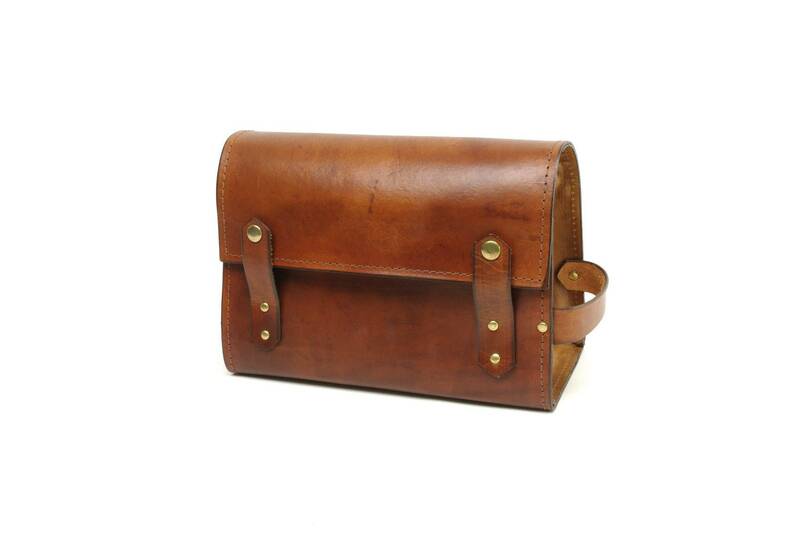 I used a firm oak-tanned leather for the body of this bag, which breaks in nicely yet keeps its shape. 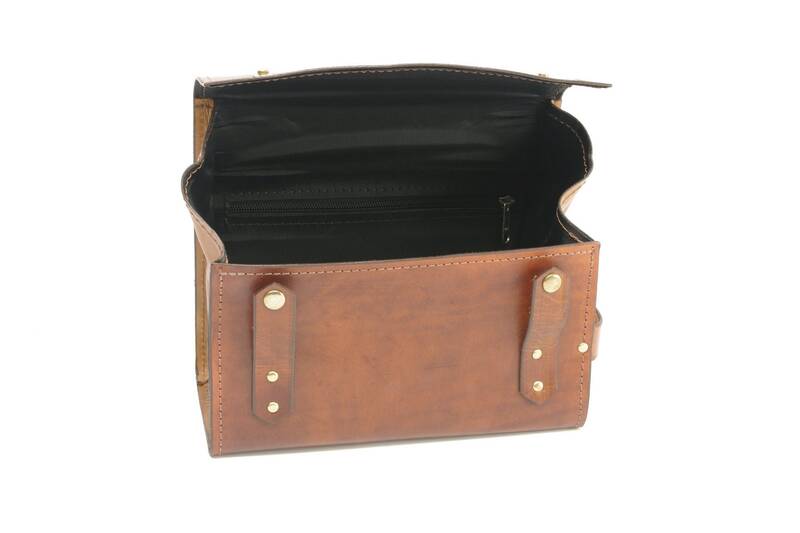 The inside has a waterproof lining with a zipper pocket in the rear for small items. Snap tabs close this bag, with sides that seal shut so you don't have to worry about your stuff falling out. I topped it off with a handle on one end. This simple classic design is built to stand up to many years of abuse, and the waterproof lining is easy to clean out when you spill your shampoo (which I know by experience.) I am happy to monogram this bag for you as well. I can put initials, a name, or whatever you want! -Add a monogram! Monograms are generally centered on the flap. **Please Note** All sales of clearance items are final. I do, however, guarantee all my work for life.